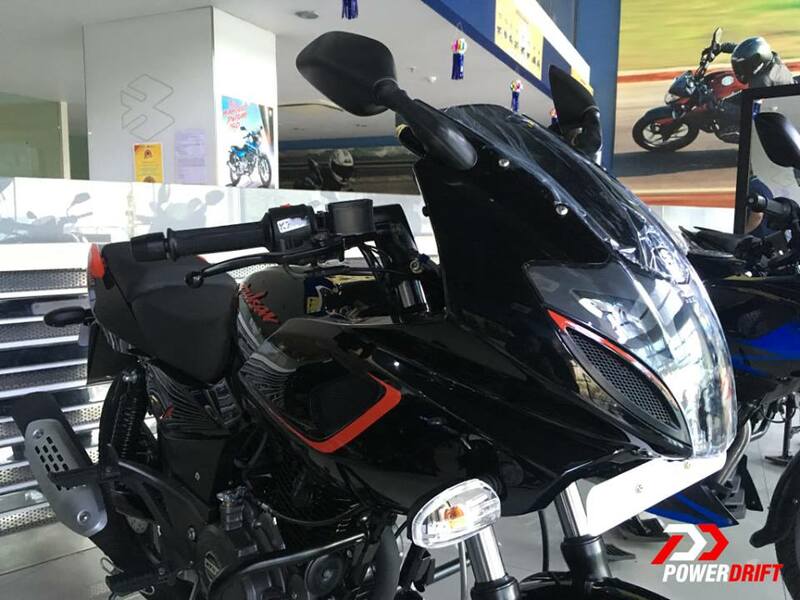 The Bajaj Pulsar 180F has started to arrive at more dealerships across India, and these photographs are courtesy motoring portal, Powerdrift. The Pulsar 180F, as seen in the first impressions video on YouTube, features Pulsar 220F inspired styling. Thus, the fascia includes twin-pod, vertically stacked headlights with DRLs on either side. The handlebar-mounted rear-view mirrors from the standard Pulsar 180 have been shifted to the fairing – a design trait that we have seen on the Pulsar 220F. The new Bajaj Pulsar 180F has been priced at INR 84,500 (ex-showroom). The motorcycle features Pulsar 220F inspired styling but misses out of ABS. The motorcycle was once again seen in the Black-Red colour option. Similar to the motorcycle in the first impressions video, the black base paint of the Pulsar 180F is accompanied by red highlights to the fascia, fairing, Pulsar branding on the fuel tank, 180F badge on the rear panel and the pillion grab rails. The side panels and the wheels, too, get a red highlight. Everything else remains identical to the standard Pulsar 180. Thus, the cockpit continues to feature an analogue tachometer along with a digital screen. An identical fuel tank as the Pulsar 180 follows the cockpit although the 180F gets red colour for the Pulsar logo. The saddle is a step-up split seat that is followed by a red coloured pillion grab rail. Mechanical specifications have been retained from the Pulsar 180, and the semi-faired model continues to use a 178.6cc 2-valve, air-cooled DTS-i motor that produces 17 bhp of power at 8,500 and a peak torque of 14.22 Nm at 6,500 and a five-speed gearbox. Stopping power comes from a 260 mm disc at the front and a 230 mm disc at the back although the ABS tech is still missing from the motorcycle. Meanwhile, an upgrade to the braking setup includes steel-braided lines for enhanced stopping power. The vertically stacked, twin-pod headlight should offer better illumination than the standard Pulsar 180. The Pulsar 180F also benefits from steel-braided brake lines for better stopping power. The motorcycle has been reportedly priced at INR 84,500 (ex-showroom) which is approximately INR 2,000 cheaper than the amount quoted in the first impressions video on YouTube. 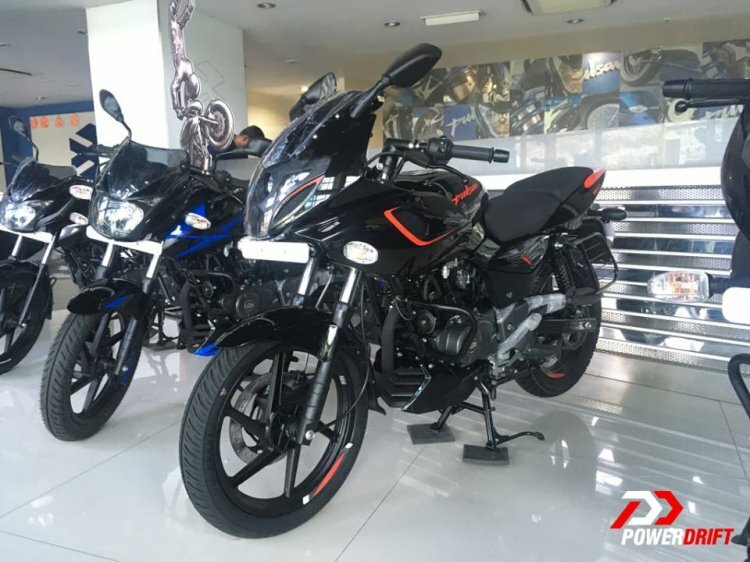 It is to be noted that the first impressions video came from the south while the motorcycle photographed by Powerdrift belongs to a showroom in Pune, the base of Bajaj Auto.